We have no directions for this hotpool. Do you know the way? Map showing location of Sapphire Springs Holiday Park . Use the controls on the map to zoom in and out. This is a great site. particularly if you want a quiet few days. We came in late Spring; planned on staying one night: stayed for four. The site is rural, with a lovely stream/river to camp by, Bath-warm swimming pools, and pleasing bush walks. All the amenities clean and cared for, showers hot, It 's run by a family.and they could not have been more friendly and helpful. it is a pleasure to recommend them. Wow what a HUGE DISSAPOINTMENT!!!!!!!!! Sapphire springs is a place my family and I have been staying for years, absolutely beautiful place! What a shame about the customer service we received on our last stay, SUE in particular. And I see in above comments her name has been mentioned a few times for the same thing. My partner and i and two of our close friends booked in for a nights stay, we were told upon arrival that there were no motels available, that they were all booked out and that the last one had been booked (after we were told we could have it) and we would have to be in two separate cabins (we thought this was odd as it was very quiet). We realised the cabins had no linen and had not brought our own, we were charged 40.00 for two people this included two pillows two single duvets and a towel each, no sheets and we couldn't have a double duvet for our double bed. The blankets and pillows were filthy and had what looked to be cat fur on them. I asked for a refund on these which we received. Later in the evening I decided to ring the logde up and see what motels/units they had available as there looked to be no one staying there, I was then told they did have motels available.when I confronted them about the situation ed seemed unsure of the situation and Sue stood there giving us evil looks until finally raising her voice at us with her baby in her arms justifing why she wouldn't let us have a motel room and how they were all booked out and who their priorities lie with. We were treated very poorly by the woman named Sue. We have been loyal customers at this park and we cannot understand why we were judged and denied a motel this way. Horrible experience. I would suggest if you are around the ages of 27-33 you will most likely get the third degree, also 3 of us have Maori blood I wonder if Sue is also a bit racist. So disappointing. Incredibly enjoyable stay. I think the last two reviews may have the wrong place?! Beautifully clean, the new owners look like they have done a massive amount of work. The three warm pools outdoors are lovely and fresh no chlorine stench, we then had a private spa which was magic. The stream that runs through the camp is idyllic. We will deff be back with all of our family! All round lovely place. HORRIBLE STAY! had to check out of this place, was meant to stay 2 nights couldn't do it, bad customer service. The Cabin was smelly and dirty! Sheets weren't even cleaned the were stains all over (have photos) hair all over the Bunk beds felt dirty and disgusting! will never ever go here again! We knew it was low budget but this is below budget not worth the money would much rather pay $10 extra and stay in Omokoroa. Took the children to the pools today - and got to look around the camp (that I have not visited in 25 years). Yes, things are aged, but the new owners are doing a great job of the upgrade - and the pools were sparkling clean and pronounced the highlight of my kids holiday to the BOP. Look forward to coming back. A very quiet relaxing bush setting. The facilities are clean and tidy. The pools are perfect temperature for this time of year, not too hot. The kids had an absolute blast. I took a group of 19 students from Matahui Road school to Sapphire Springs for one night last week. The new owners were wonderful to work with, they were very helpful and made our stay very enjoyable. We found the newly redecorated accomodation was very clean and comfortable. We will definitely be back to use the facilities in the near future and wish you all the best. I booked the motel units for seven adults. I must admit that I was a bit dubious after reading the ratings before we went. I, along with all of our party thoroughly enjoyed our stay and found the new owners had put in such a lot of work with updating paintwork etc in the four weeks they have been there. Well done and keep it up - we will definately be back and with another party of people. All the best for your first summer. Agree with some of the previous comments which did not read before going there. Nice place & grounds but the unit was below par for the price. Website says hot thermal pools but these are luke warm (not 32C). Unit was clean but smelt damp. Don't mind older units but do like to have sky(free channels only) and there were no wine glasses. Microwave wasn't useable. Had to request replacement towls and empty rubbish bin for 2nd night. No one asked how we were going even though we were the only ones in the units, so hence didn't bother to say anything when we checked out. A pity as the place is attractive. Should have gone to Taupo like we intended originally. we stayed in a self contained unit a day ago and were slightly disappointed. I know th price is low so I didn't expect luxury but this was very dated and not clean. Bedding were smelly, bathroom dirty and our bedroom also dirty. I wouldn't go back again! it was such a shame to see how the lack of maintenance over the past few years have had its toll on this once beautiful campground. My last 2 visits home i have stayed here hoping that it had been improved. sadly no. my family have been visiting this place for over 15 yrs and mother has just spent 2 days there with my sister and she has now confirmed she will not go back. to the owners please can you not do anything to bring it back to its former glory. We visited on a cool summers day - not hot or cold, but still the pools were too cold to spend more than half an hour in. The main pool was so cold I didn't even bother to get in it other than to dip my feet in. We were also bored in the warmer pool as the water level was low and the sides were high - there was nothing to look at. Everything was generally run down. The private pools were even more skanky, and my grandmother had real difficulty getting in and out of one due to the wobbly steps. I played in these pools as a kid more than 40 years ago and took my family there with fond memories - pity it was so dirty and scruffy - the surrounding bush used to come to the edges, but now there's just one small tepid soak pool, and one large cooler swimming pool layed out in a muddy paddock! Nice setting, shame about the maintenance. Needs redoing. We went freedom camping from 9-11 March 2014. Our site was just magnificent. It's beside the river bank so the gushing of the river as it flows downstream can be heard from our tent. It was very peaceful. 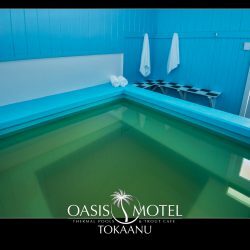 The place has 3 warm thermal pools with perfect temperatures. The kitchen and bathrooms were very tidy and very spacious. The camping site is very well-kept. The staff are very friendly and helpful. The kidney-shaped pool is huge and there was another good-sized rectangular and toddler pools. The pool surroundings are really clean and very conjusive to family picnic and big group gatherings. Well done owners and staff. Stayed for 2 nights in the units, They are two bedroom and everything is supplied.\r\nGrounds are kept very tidy and the staff were super friendly and helpfull. I have stayed before but with the new owners it is everyting you would expect and more. Pools are great and for me the river is even more fun. We stayed here recently for a couple of nights with our two young children. We all had a fabulous time and we look forward to coming back. It is such a peaceful setting, the pools were great, the motel unit had a great retro feel and was immaculately clean. The new managers have obviously put in a lot of work and the results speak for themselves. It really is a little slice of paradise right in our own backyard and I would highly recommend it! Stunning location! While the the place has obviously been let go over time the new owners seem to have put a lot of effort into bringing it up to scratch. Really good and friendly service, absolutely beautiful spots to put up a tent and the pools were fantastic. Good kitchen facilities, bathrooms dated but still clean and tidy. Would really recommend to anyone looking for an affordable holiday. Definitely not hot pools by any stretch of the imagination!. The water is very cool in the main outdoor pool and slightly warmer in the smaller outdoor pool. The setting is lovely and the pools are very clean. The private pools are warmer but heavily chlorinated and very retro- think 1975. Just returned from 2 days stay at the camp. The facilities and pools were old but spotless. They were always cleaning and working to improve the place. The hosts were so friendly and made us feel very welcome. Lovely and quiet at night, a very peaceful and inviting place to stay. Will return. Brilliant. A lovely natural place with lovely natural owners. Rating: 8/10 1st November 2013 We have just stayed at Saphire Springs Holiday Park for 2 nights over Labour Weekend. There were 5 families, 3 of us rented the two bedroom units and the other two families rented out the homestead. We had a blast and so did the kids. There was new linen, the unit was clean and tidy. The homestead was fantastic with great facilities for the 9 people that stayed there. The owners were very welcoming and helpful, lovely to deal with. We went on a couple of bush walks, found the glow worms, the kids spent most of their time in the hot pools. I would highly recommend this place to anyone. It is a hidden paradise! Hi all. Just letting you know that we are the new owners of Sapphire Springs Holiday Park and Thermal Pools, as from 18 September 2013. We are (mostly!) Katikati born and bred, and all have an enormous desire to bring the park back to it's former glory. We invite all old and new customers to come and check out our progress! Please visit our website for more details. We were just daytripping and decided to visit the pools for a picnic. The area is very clean and tidy. The changing rooms toilets are a tight squeeze for an adult. But the pools are tepid, not 32 deg. (had a thermometer in my 1st aid kit and they were 25 deg). we check our pools every morning with a water testing gauge and they are always 32 deg or more there might of been somrthing wrong with the thermomer. We had already booked in before reading the comments below and were hesitant about going there but what a load of rubbish, pools were great, just the right temperature for summer, owners friendly, everything clean and tidy, we cant wait to go back, thought it was great value for money. In reply to the comments that have been made about Sapphire Springs I think that we have done pretty well with the money we have put back into the camp and the pools. Well, having read these reviews, was not expecting the best. We booked into a unit and took our own linen and janola wipes just encase. Just as well as we did. The sheets on the bed were worn and pilled, no mattress protector on the bed. I wiped the shower tray with the janola wipe which did not give nice results. The cleaning in this place needs improving, dirty floors and skirting, no cleaning behind the doors. Place smelled dusty. The website says the pools are kept at 32 degrees, unfortunately these were found to be lukewarm and although clean, the surrounding area was dirty. The communal toilets were old and had grubby floors. We will definately not be staying there again or recommending this place to our friends. We recently stayed 2 nights in one of the self contained units. The accommodation is basic and dated, and also very smelly. The bedding looked like it was the original from 1979. Kitchen facilities cramped and almost dangerous - water coming into close contact with electrics. Facilities of the park are nothing to get excited about. A shame as it could be so much better. Perhaps that's why we seemed to be the only people staying there in the units. These pools were lukewarm not hot at all, a big open pool that was so cool on an 18 degree day that we stayed 2 mins and left again. 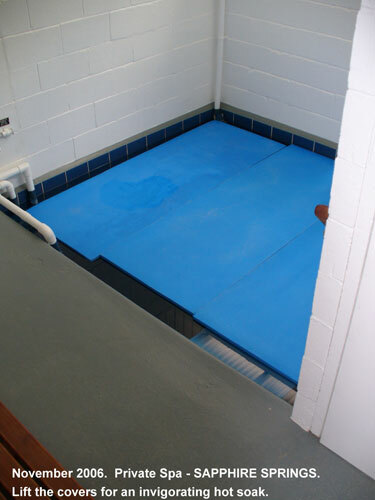 Be nice on a hot day - could get in the cooler pool to cool down, but dont go there expecting a nice soak in a hot pool!! Our family caravanned here when I was a youngster; it's taken me 30 years to come back and do the same with my family! We all loved it. Very relaxing, and being able to have a powered site so close to the river was a bonus! (We could watch the ducks as they emerged from wandering under our caravan and skidded down the bank into the water!) The facilities are more than adequate, and the pools are better than I remember! Pool temperatures were perfect. A very relaxing time, only wish we had stayed longer! We'll be back again. I always enjoy my stay at Saphire Springs. The hosts are very down to earth and enjoy a good laugh. Recently, they have done a lot of maintenace and the units are starting to look real good. my friend and I visited sapphire springs in 1994 when we had a private spa. The temperature was 41 degrees and it was just wonderful. It was raining heavily when we were leaving and we had to drive across the little entry bridge which was completely covered in flood water. We really enjoyed our spa. Just to let the people know that we bought Sapphire Springs Holiday Park and renamed it Sapphire Springs Motor Camp in August 2005. 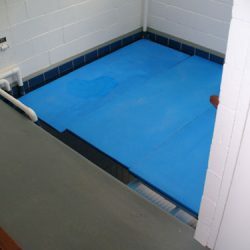 Since then we have done a fair bit of work around the place and at this moment in time we are trying very hard to get someone to come a plaster the small and medium pools so we can get the painted and looking a bit nicer. We have even been drilling of warmer water but alas dont know the outcome of the expensive job yet. but when we do i will surely be letting you know via this site. Thank you for your time. Regards, Us. First visited in 1979. It was then AMAZING. All brand new, the large pool with its partner paddling pool was a great place to be, nestled in the bush, with pathways and picnic places. I have stayed there over the years, last time was 2001, and sadly, little had changed including lack of maintenance and the motels were also the same, with little or no upgrading. Had the repairs not been so apparent I would have sworn I had gone back in time. Still, a beautiful place on a fine summers day. Yes, the water is not that hot either. BUT - I prefer the rustic, non commercialised pools so this is great for a visit. My husband and I took our family of 6 children early 2005 as we were invited to join many other families that had children struggling with healthy eating habits, and My husband and I swore that in all the years we'd been travelling with a huge family it was the best weekend we'd had! The peaceful surrounding and the "home away from home" feeling. I guess you could say that the atmosphere was totally stress free. We personally wouldn't hesitate to book another holiday back there if we had half the chance! Only downfall was the cafe cost mega $$$$!! Renovations? No complaints THAT'S WHAT MADE IT FEEL LIKE CAMP!!!! Toilet and shower facilities, kitchen and laundry I would rate a 10!! !